When Oppo launched the F9 Pro (Review) in the market last month, it also announced the Oppo F9 at the same event. The Oppo F9 was not given as much attention as its sibling, and it has only just recently become available in the market. In comparison to the Oppo F9 Pro, this less expensive version lacks VOOC fast charging, has 4GB of RAM instead of 6GB, and the 25-megapixel selfie camera has been cut down to 16 megapixels. However, all these reductions to the features and specifications result in a lower price. While the F9 Pro is priced at Rs 23,990, the new Oppo F9 comes in at a Rs. 4,000 less. While the Oppo F9 is more affordable than the F9 Pro, there are a lot of smartphones at around this price that offer good value for money. Should the Oppo F9 be your first choice? We put it to the test to find out. When it comes to shape and size, the Oppo F9 and the Oppo F9 Pro are identical. To help distinguish between the two models, Oppo offers different finishes. 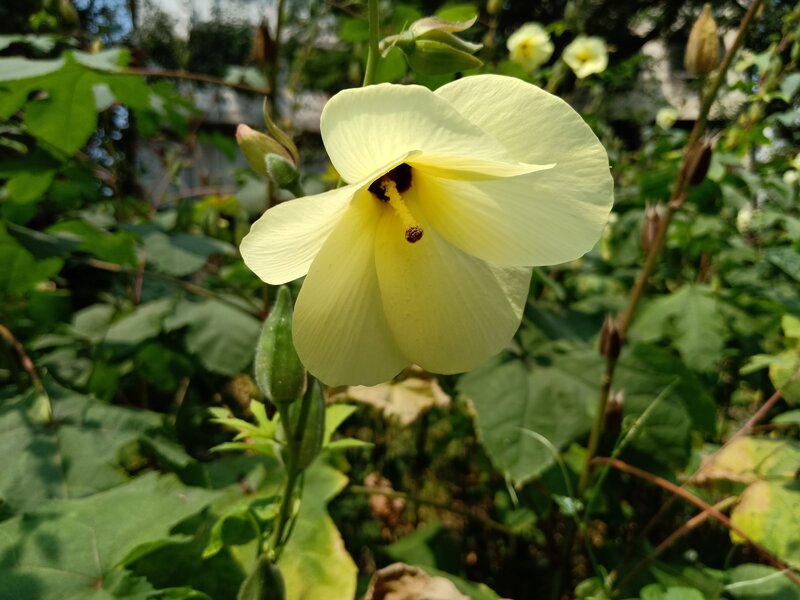 While the F9 Pro gets flashy colour schemes with different patterns and gradients, the F9 has a diamond cut pattern similar to what we saw on the Realme 1 (Review). There are two colour options, Mist Black and Stellar Purple. The whole pattern isn’t visible at all times, but sections pop up when light hits the back of this phone at different angles. We had the purple version in for review, and it looks quite different from the many black and gold smartphones currently in the market. The Oppo F9 is made out of plastic, and its highlight feature is its display. It has a smaller notch compared to what we have seen on most other smartphones in the market. Oppo calls this a ‘waterdrop’ design, and it only houses the 16-megapixel selfie camera. The earpiece is cleverly positioned above it, helping in making the notch smaller. Vivo’s V11 Pro (Review) has a similar notch, and the upcoming OnePlus 6T is also rumoured to sport it. 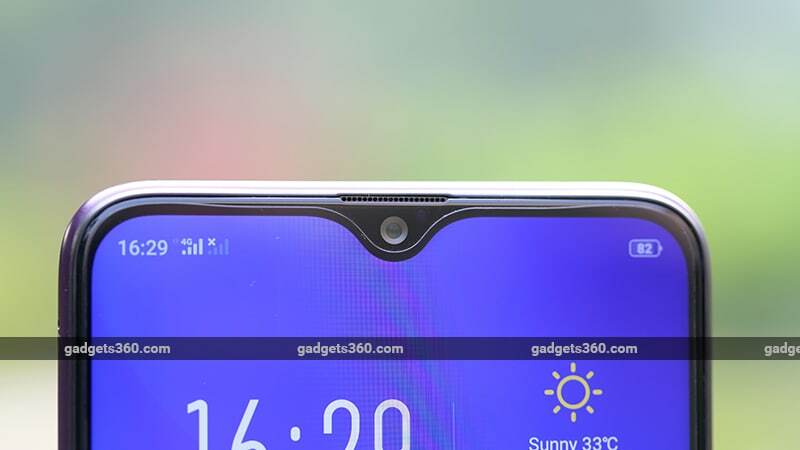 Oppo has hidden this phone’s proximity sensor to the right of the notch and mentions that third-party screen protectors and cases might interfere with it, affecting functionality. The company ships this phone with a pre-applied screen protector and a case in the box. The body of the Oppo F9 bulges outwards slightly, increasing its overall footprint. While the back panel gives an impression of glass, it is also plastic and will pick up scratches if it’s not in a case. The power button is on the right, the volume buttons are on the left, and the oval fingerprint scanner on the rear is within reach when holding this smartphone. The Oppo F9 has a horizontally mounted dual camera module at the back, which protrudes slightly, with an LED flash next to it. Oppo has added a metal surround which should help keep the camera module safe from scratches. 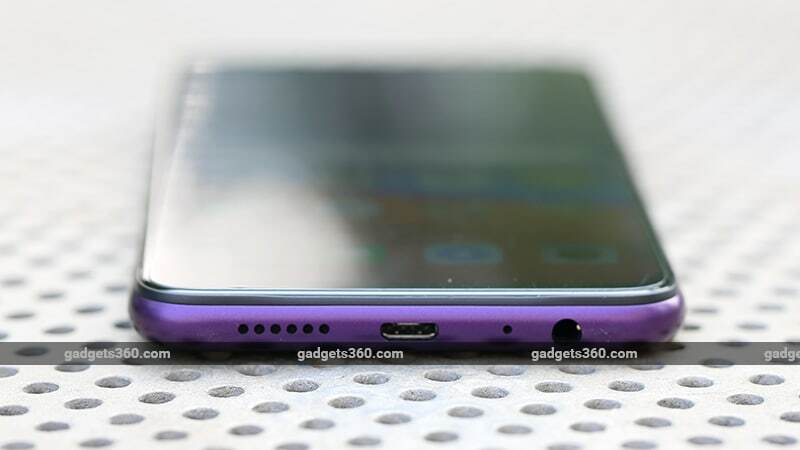 Looking at the bottom of this phone, you will notice a Micro-USB port instead of Type-C, along with a 3.5mm headphone jack, a loudspeaker, and the primary microphone. The Oppo F9 Pro also had a Micro-USB port with support for the custom USB cable required for VOOC fast charging, but the F9 misses out on this feature. Instead, you get a 10W charger in the box. The SIM tray is on the left of the device and has two Nano-SIM slots and a dedicated microSD card slot. The Oppo F9 has very similar hardware to the F9 Pro. It is also powered by the MediaTek Helio P60 octa-core processor, which has four ARM Cortex-A73 cores and four Cortex-A53 cores clocked at 2GHz. We have seen the same processor powering far more aggressively priced smartphones such as the Realme 1 and the recently announced Nokia 5.1 Plus. The Oppo F9 has 4GB of RAM and 64GB of internal storage which is expandable by up to 256GB. The 6.3-inch LTPS display sports a full-HD+ resolution and a 19.5:9 aspect ratio. Oppo does not specify any protection for the display, so try not to drop this phone. Other specifications of the Oppo F9 include Wi-Fi 802.11ac, Bluetooth 4.2, GPS, GLONASS, Beidou, and VoLTE. The device sports a 3500mAh battery but it does not support fast charging. It seems to be missing the required hardware that is present in the Oppo F9 Pro. We tried plugging a VOOC charger into the Oppo F9, but we did not see it charging quickly. This means you won’t be able to use VOOC just by buying the charger. Oppo ships this phone with its custom ColorOS UI on top of Android 8.1 Oreo, and our review unit was running the July security patch. Oppo has customised the interface quite a lot. Swipe right from the home screen and you are greeted by Smart Assistant, which has a search bar on top, shortcuts for a few apps, a weather widget, and a step counter widget. You can swipe down on the home screen to access a universal search function similar to iOS. There’s also a floating panel on the side that gives you quick shortcuts to a few functions and apps, which we found similar to Samsung’s implementation on the Galaxy S8 (Review) and Galaxy S9 (Review) smartphones. The settings app has multiple menus and submenus that have different options tucked away. We couldn’t find a search function in this app, which would have made locating the settings we wanted easier. Users will have to head back to the home screen and use the universal search for this. Swiping individual notifications is still a two-step process, a pain point we have highlighted in our reviews of the Oppo Find X (Review) and Oppo F7 (Review). There are quite a few apps preinstalled on the smartphone, and Oppo’s app store gives you recommendations to install a few more. We found that the default browser kept sending notifications multiple times a day. The Oppo F9 has a good display, and we found it to be legible even when outdoors. The tiny notch liberates a lot of screen space on both sides, which lets you see multiple pending notification icons at one go. Compatible apps run in fullscreen mode, and non-compatible ones run at the 16:9 aspect ratio, but you do get the option to stretch them to fullscreen. The F9 gives you the option to use face recognition to unlock it, and in our experience, it was quick. We were curious to quantify the performance differences between the Oppo F9 and the Oppo F9 Pro considering the 2GB RAM difference between the two. When we reviewed the F9 Pro, it appeared to be weaker than similarly priced smartphones such as the Honor Play (Review) and Huawei Nova 3i (Review), and was also outperformed by the lower priced Xiaomi Mi A2 (Review). With only 4GB of RAM, the F9 starts on the backfoot, and we have put a comparison in the table below. While it does not ace these tests, we did not notice lag or stutter when using the device. It was capable of delivering a smooth experience without slowing down when we used it for basic tasks. We played PUBG on this phone, which recommended the medium quality preset. We did not notice sluggish performance, but the phone did start to get warm fairly quickly. The battery also drained at a faster rate when gaming than what we usually see, dropping close to 10 percent after 20-25 minutes. While the Helio P60 is relatively powerful, it tends to get warm under load. In our HD video loop test, the smartphone went on for 14 hours and 39 minutes, which is longer than the Oppo F9 Pro by an hour and a half. With our usage, which involved some gaming, an active WhatsApp account and watching a few videos online, the phone lasted us one full day, only needing to be plugged in the next morning. It also has power saver modes that could help you extract a little more runtime out of the battery. The absence of VOOC charging is felt when you plug the phone into the charger. It charges to 29 percent in 30 minutes and 62 percent in an hour, while a full charge takes 2 hours and 20 minutes. Oppo has gone with a 16-megapixel primary sensor with a 2-megapixel depth sensor at the back, and a 16-megapixel selfie camera at the front. The camera app has Portrait, Sticker, Pano, Timelapse, Slo-mo, and Expert modes, apart from the standard Photo and Video modes. You have quick toggles for HDR, and you can apply filters before taking a shot. Google Lens is also integrated into the stock camera app. The phone is quick to lock focus, and photos shot in daylight were sharp with a good amount of detail. The Oppo F9 switched HDR on automatically when shooting with bright backgrounds, delivering good usable shots. While shooting macros, the F9 took some time to lock focus so we had to wait. The output was sharp and had good separation between the subject and the background. 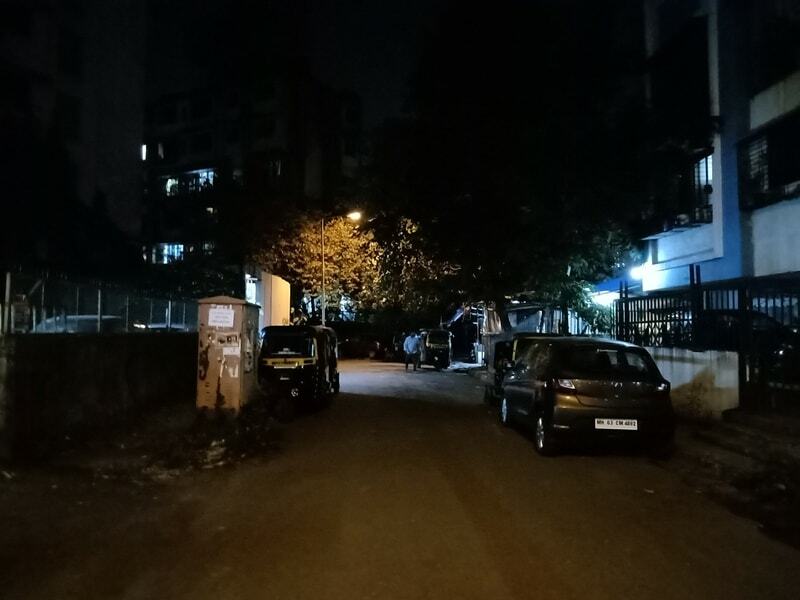 The camera performance took a dip in low light. There was aggressive noise reduction and we found a huge loss in details when taking photos with only a dim light source nearby. Portrait mode puts the secondary camera to use but you don’t have the option to select the level of blur you want, but there are multiple lighting options. Portrait shots had aggressive background blur, which made the image look artificial. 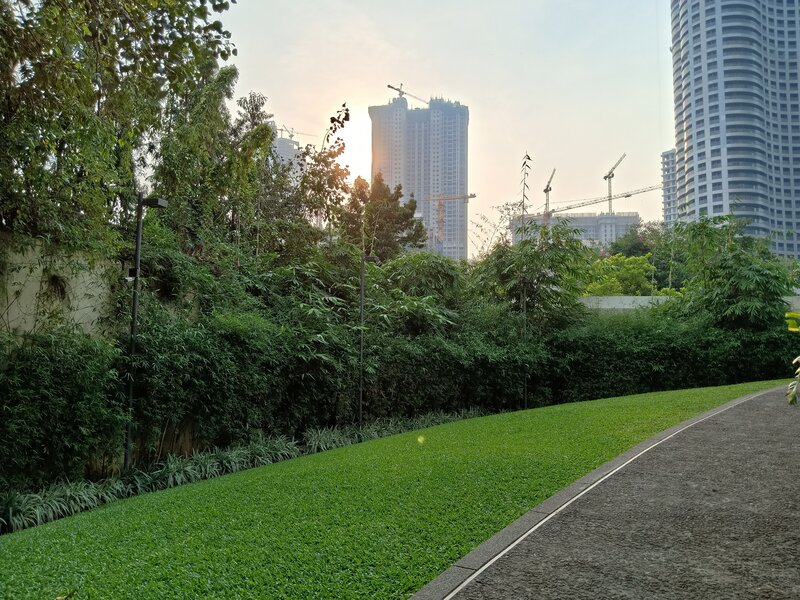 Like we mentioned before, the Oppo F9 packs a 16-megapixel front camera compared to 25 megapixels on the F9 Pro. Beautification mode is enabled by default and is set to AI, which lets the phone decide the level of beautification. You also have the option to set beautification levels manually. The selfie camera can simulate a depth effect, and this has decent edge detection. Video recording maxes out at 1080p for both the rear and the front cameras. Video stabilisation is available when recording at 1080p using the rear camera, but we noticed focus hopping which is annoying, and the output was a little too sharp for our liking. 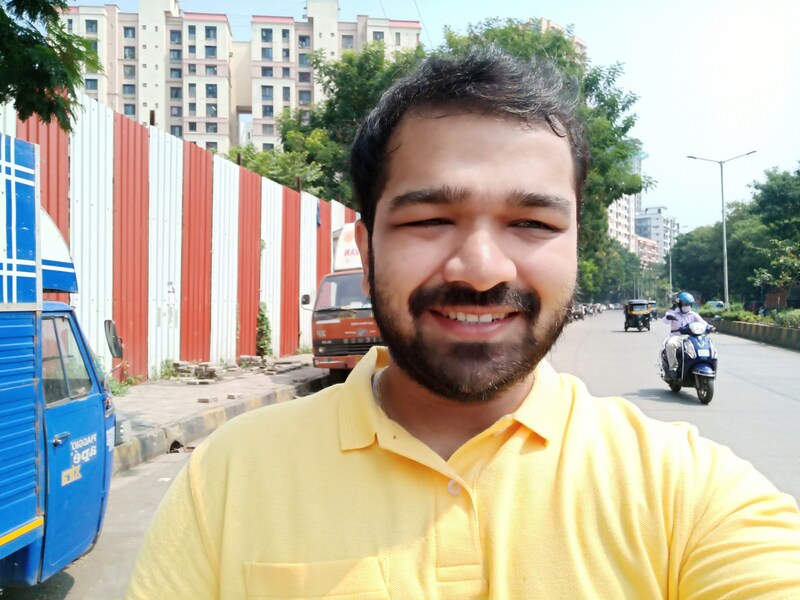 If you want to get the maximum possible performance at this price, the Xiaomi Poco F1 (Review) represents a huge bump in performance for a small premium. While we haven’t reviewed the Vivo V9 Pro yet, it also has better hardware for the price it commands, and we'll deliver our full verdict on it soon. 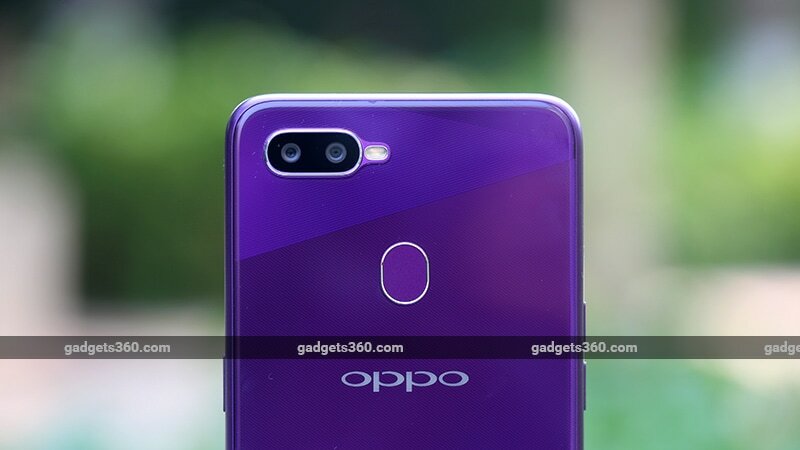 product Oppo F9 is an affordable offering compared to the F9 Pro but has Oppo removed too many important features? We review to find out.